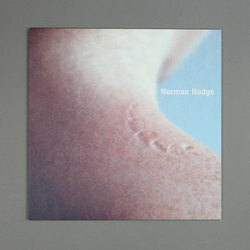 Norman Nodge - Embodiment EP. Vinyl EP. Bleep. Norman Nodge returns! The Ostgut Ton veteran drops his first EP of new material since 2011’s The Happenstance. One spin of Embodiment and you realise that this thing was worth the wait. These tracks are the sort of finessed hard techno that Ostgut Ton has come to be the gold standard for down the years. ‘Discipline’, for instance, is an EBM tool that will send clubbers into raptures. Meanwhile ‘Tacit Knowing’ shows off a bit of a breaks vibe in a manner not dissimilar to Answer Code Request’s recent O-Ton LP Gens.